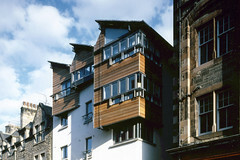 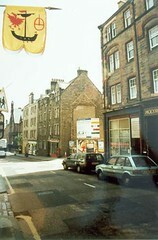 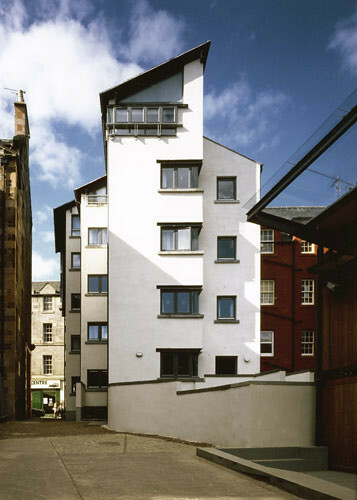 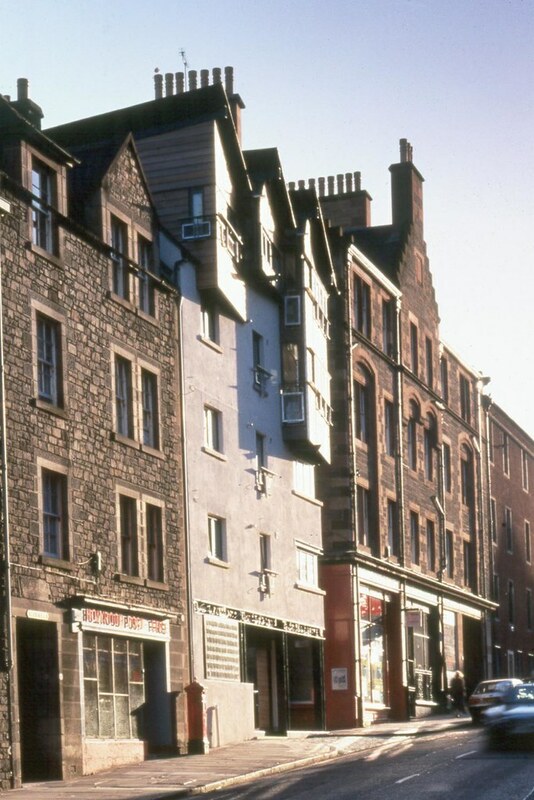 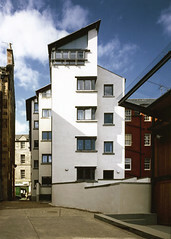 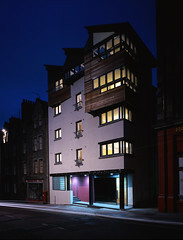 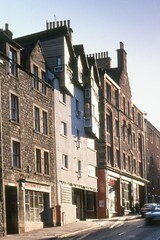 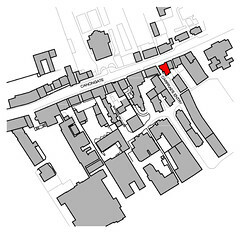 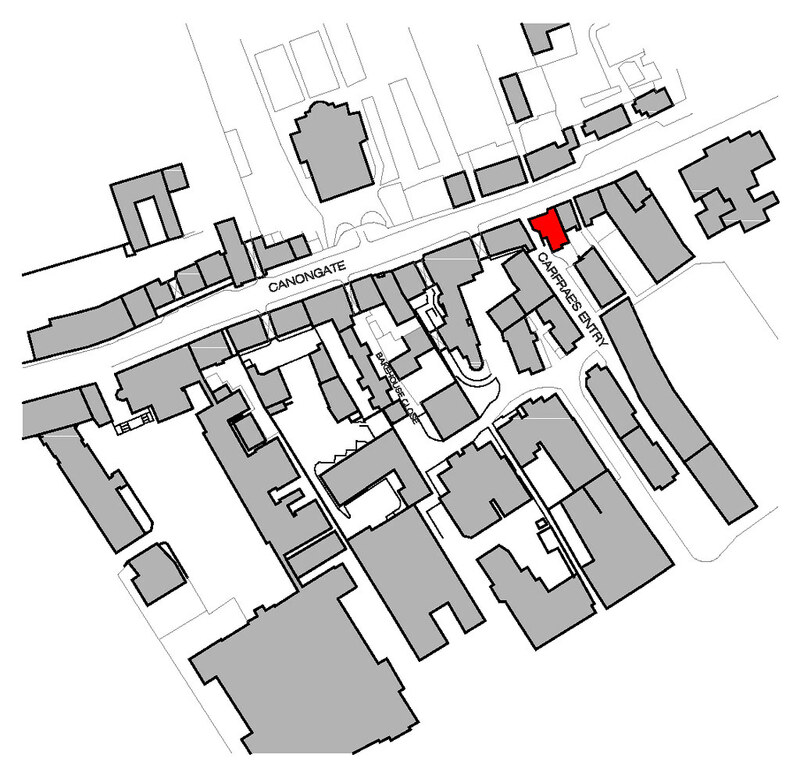 The building sits on the site of the former archway to the Holyrood Brewery on the south side of the Canongate. 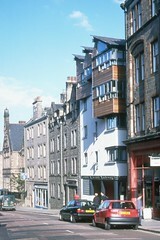 The design makes reference to buildings of the Old Town which have to a large extent disappeared and been replaced with Georgian and Victorian successors; in particular, colonnades at ground floor level, external staircases, windows frequently arranged as horizontal galleries, and an ad-hoc quality to their general appearance. 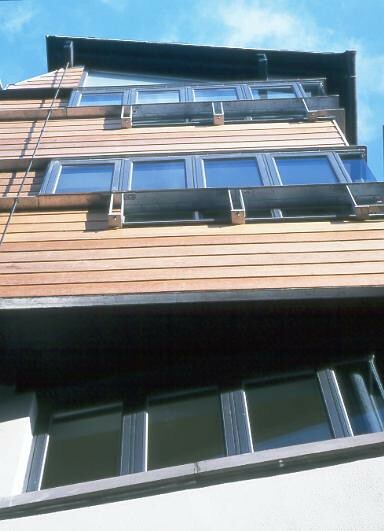 Their upper stories, often cantilevered, were frequently of timber with a roof top profile of "roofed rooms" (like small independent buildings on the roof line). 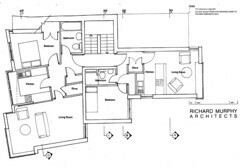 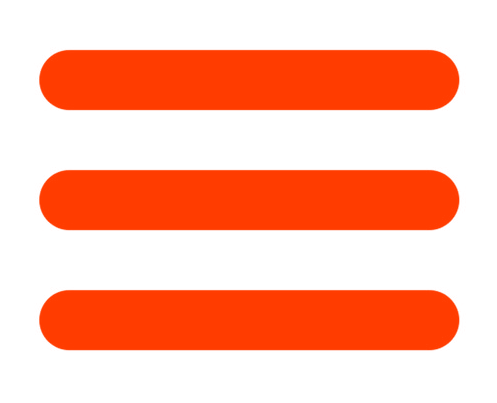 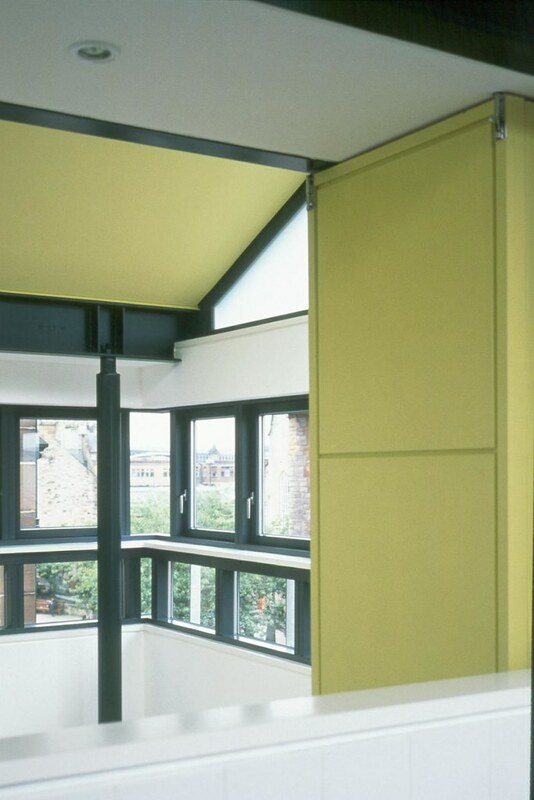 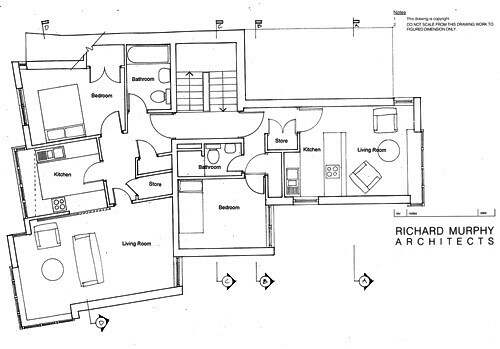 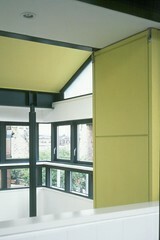 We have made reference to each of these characteristics in the design, but in a contemporary way. 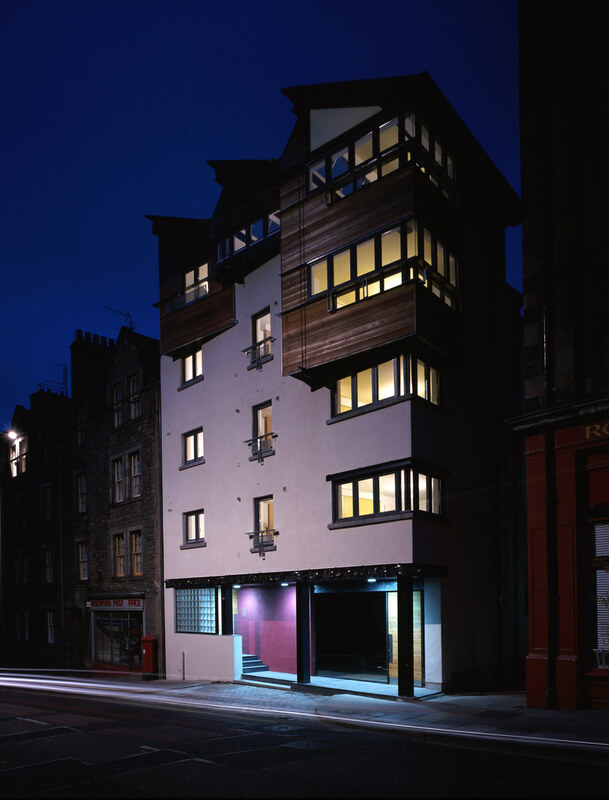 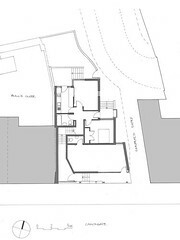 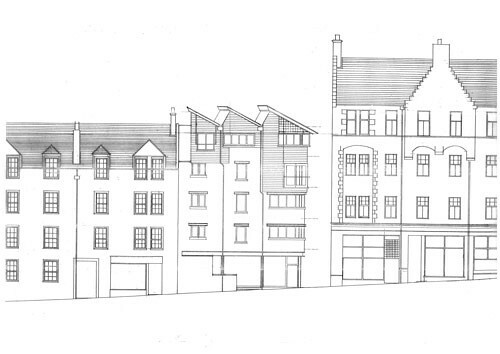 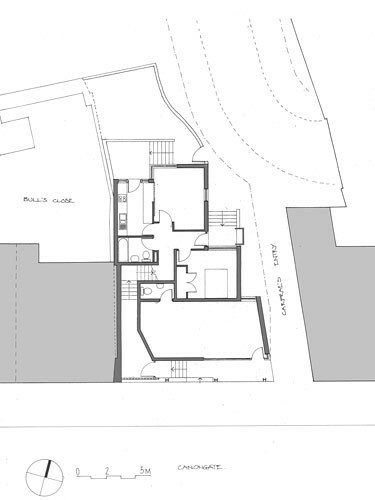 The constraints on the site are the view from the Canongate to the new Scottish Poetry Library and the need to preserve the issue of privacy between the flats and the existing flats to the western side. 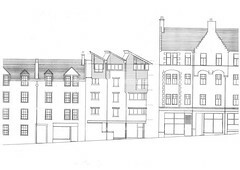 The opportunities are the stunning views of Sailsbury Crags to the south and a chance to make a contemporary addition to the heterogeneous development of the Royal Mile. The geometry of the plot forms an acute angle between front and side elevations allowing the orthogonal cantilevers to progressively jut onto the street. 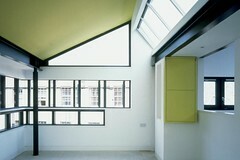 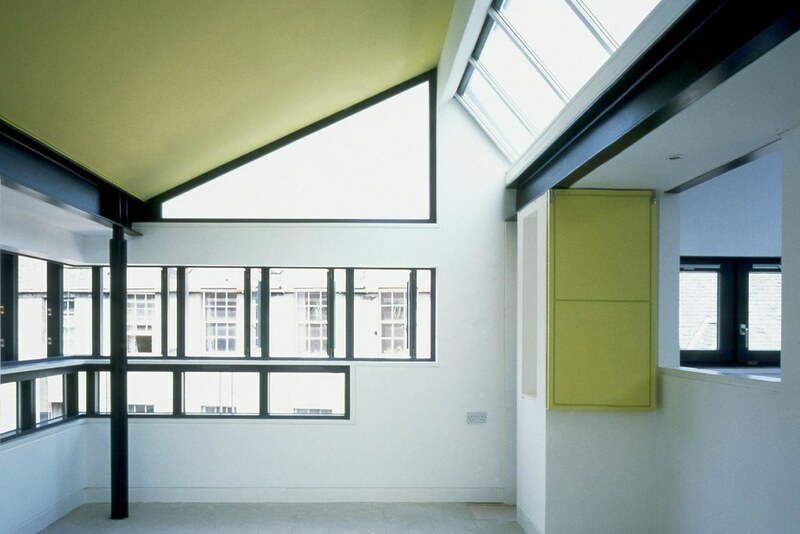 The top flat with views in all directions and generous roof glazing is particularly spectacular. The project was completed in 1999.